To focus on the profession of teaching and related careers – history, purposes, issues, ethics, laws and regulations, roles, and qualifications. To understand the nature of human development from conception through adolescence and the connection of the students’ development. To develop the knowledge and skills of curriculum delivery models in response to the developmental needs of all children. This course is designed to focus on the profession of teaching and related careers – history, purposes, issues, ethics, laws and regulations, roles, and qualifications. Emphasis is placed on identifying the current, historical, philosophical and social perspectives of American education, including trends and issues. During the course students will participate in a minimum of 20 hours of guided observations and field experiences in multiple settings to help them assess their personal interest in pursuing careers in this field and to identify effective learning environments. Students will begin the development of a working portfolio to be assembled upon completion of the program. The course is also designed for students to learn about leadership and skill opportunities afforded through participation in CTSO activities. 01.0 Methods and strategies for using Florida Standards for grades 09-10 reading in Technical Subjects for student success in Teacher Assisting / Principles of Teaching. 01.01.1 Cite specific textual evidence to support analysis of science and technical texts, attending to the precise details of explanations or descriptions. 01.01.2 Determine the central ideas or conclusions of a text; trace the text’s explanation or depiction of a complex process, phenomenon, or concept; provide an accurate summary of the text. 01.01.3 Follow precisely a complex multistep procedure when carrying out experiments, taking measurements, or performing technical tasks, attending to special cases or exceptions defined in the text. 01.02.1 Determine the meaning of symbols, key terms, and other domain-specific words and phrases as they are used in a specific scientific or technical context relevant to grades 9–10 texts and topics. 01.02.2 Analyze the structure of the relationships among concepts in a text, including relationships among key terms (e.g., force, friction, reaction force, energy). 01.02.3 Analyze the author’s purpose in providing an explanation, describing a procedure, or discussing an experiment in a text, defining the question the author seeks to address. 01.03.1 Translate quantitative or technical information expressed in words in a text into visual form (e.g., a table or chart) and translate information expressed visually or mathematically (e.g., in an equation) into words. 01.03.2 Assess the extent to which the reasoning and evidence in a text support the author’s claim or a recommendation for solving a scientific or technical problem. 01.03.3 Compare and contrast findings presented in a text to those from other sources (including their own experiments), noting when the findings support or contradict previous explanations or accounts. 01.04.1 By the end of grade 9, read and comprehend literature [informational texts, history/social studies texts, science/technical texts] in the grades 9–10 text complexity band proficiently, with scaffolding as needed at the high end of the range. 01.04.2 By the end of grade 10, read and comprehend literature [informational texts, history/social studies texts, science/technical texts] at the high end of the grades 9–10 text complexity band independently and proficiently. 02.0 Methods and strategies for using Florida Standards for grades 09-10 writing in Technical Subjects for student success in Teacher Assisting / Principles of Teaching. 02.01.1 Write arguments focused on discipline-specific content. 02.01.2 Write informative/explanatory texts, including the narration of historical events, scientific procedures/experiments, or technical processes. 02.02.1 Produce clear and coherent writing in which the development, organization, and style are appropriate to task, purpose, and audience. 02.02.2 Develop and strengthen writing as needed by planning, revising, editing, rewriting, or trying a new approach, focusing on addressing what is most significant for a specific purpose and audience. 02.02.3 Use technology, including the Internet, to produce, publish, and update individual or shared writing products, taking advantage of technology’s capacity to link to other information and to display information flexibly and dynamically. 02.03.1 Conduct short as well as more sustained research projects to answer a question (including a self-generated question) or solve a problem; narrow or broaden the inquiry when appropriate; synthesize multiple sources on the subject, demonstrating understanding of the subject under investigation. 02.03.2 Gather relevant information from multiple authoritative print and digital sources, using advanced searches effectively; assess the usefulness of each source in answering the research question; integrate information into the text selectively to maintain the flow of ideas, avoiding plagiarism and following a standard format for citation. 02.03.3 Draw evidence from informational texts to support analysis, reflection, and research. 02.04.1 Write routinely over extended time frames (time for reflection and revision) and shorter time frames (a single sitting or a day or two) for a range of discipline-specific tasks, purposes, and audiences. 03.0 Methods and strategies for using Florida Standards for grades 09-10 Mathematical Practices in Technical Subjects for student success Teacher Assisting / Principles of Teaching. 03.01 Make sense of problems and persevere in solving them. 03.02 Reason abstractly and quantitatively. 03.03 Construct viable arguments and critique the reasoning of others. 03.05 Use appropriate tools strategically. 03.07 Look for and make use of structure. 03.08 Look for and express regularity in repeated reasoning. Note: This course is pending alignment in the following categories: FS-M/LA and NGSSS-Sci. 04.01 Describe education and training career options (e.g. 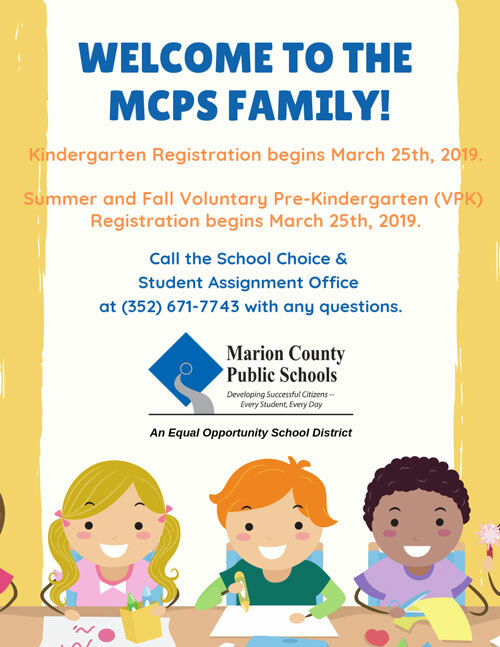 pre-school, infant toddler, elementary/middle/high school, special education, career and technical education, non-school opportunities). 04.02 Research current demographic information affecting education and training (e.g., employment opportunities, salaries, student and family populations). 04.03 Define meaning of professional career. 04.05 Identify the state and national professional standards which guide the practice of teaching in today’s society. 04.06 Research the licensure, endorsement requirements and respective education necessary to qualify for the various teaching positions. 04.07 Discuss traits, personal qualities and dispositions congruent with work in the education and training profession. 04.08 Develop personal career goals and plan activities to meet those goals. 05.01 Describe the process by which individuals are socialized into education and training organizations. 05.02 Explain what it means to be a professional educator and member of the education and training profession. 05.03 Demonstrate positive work behaviors and personal qualities needed to work in the education and training profession. 05.04 Demonstrate respect for cultural and generational values. 06.01 Identify the multiple categories of diversity that teachers need to recognize and to which they need to respond. 06.02 Describe how diverse categories of students and families influence teacher expectations and student achievement. 06.03 Explain how diversity is related to a dynamic global society. 06.04 Describe the impact of linguistic diversity in an education and training setting. 07.01 Differentiate legal and ethical issues. 07.02 Perform duties according to laws, regulations, policies and contract provisions. 07.03 Explain the implications of an individual’s past or present legal history on teaching credentials. 07.04 Discuss the implications of ethical/unethical behavior. 07.05 Complete work-related duties within an ethical framework. 07.06 Maintain behavior in concert with the legal and ethical framework of the teaching profession. 08.01 Trace the development of modern education and training and its impact on society. 08.02 Describe various environments in which education and training are delivered. 08.03 Explain the impact of economic, social and technological changes on education and training. 08.04 Explain the concept, barriers and impact of systemic change in education and training organizations. 08.05 Discuss inertia, status quo and change forces within organizations. 09.01 Identify the hierarchy within various educational and training systems. 09.02 Differentiate between administration, management, leadership and supervision positions. 09.03 Describe roles of various organizational members. 09.04 Identify support agencies outside of the education system and their value to the learning environment. 09.05 Identify funding sources and level of contribution for education and training. 10.01 Identify internal and external stakeholder needs. 10.02 Describe the importance of communicating with families, communities, agencies and political advocates. 10.03 Describe the importance of maintaining stakeholder relationships and addressing problems and complaints. 10.04 Participate in communication with internal and external stakeholders to ensure services meet expectations. 11.01 Describe the accreditation/licensure requirements education and training organizations must meet. 11.02 Discuss the safety, health and environmental compliances for education and training organizations. 11.03 Describe the methods education and training organizations use to evaluate teaching and learning effectiveness. 11.04 Discuss the financial accountability measures an education and training organization must meet. 11.05 Define an employee performance/improvement plan. 12.01 Describe human resource functions and strategies (e.g., recruiting, training, continued professional development, and evaluating). 12.02 Discuss legal implications concerning discrimination, harassment, discipline and termination. 12.03 Describe how to access information about employee benefits and policies. 12.04 Describe the role of organized labor. 13.01 Recognize the importance of teamwork and its impact on operations. 13.02 Explain the roles and responsibilities of the individual as part of the team. 13.03 Describe the twenty-first century interpersonal skills that contribute to leadership and teamwork. 13.04 Explain the importance of the culture and climate of an organization. 13.05 Assist team members to meet their individual and team goals. 13.06 Explain the induction of new employees into the informal organization. 13.07 Utilize conflict-resolution and dispute-management skills. 14.01 Describe and emphasize the importance of CTSO events and activities available for students and schools. 14.03 Identify the benefits and awards provided through participation in CTSO activities. 14.05 Identify the various high school service clubs and CTE organizations and explain their role in enhancing education.